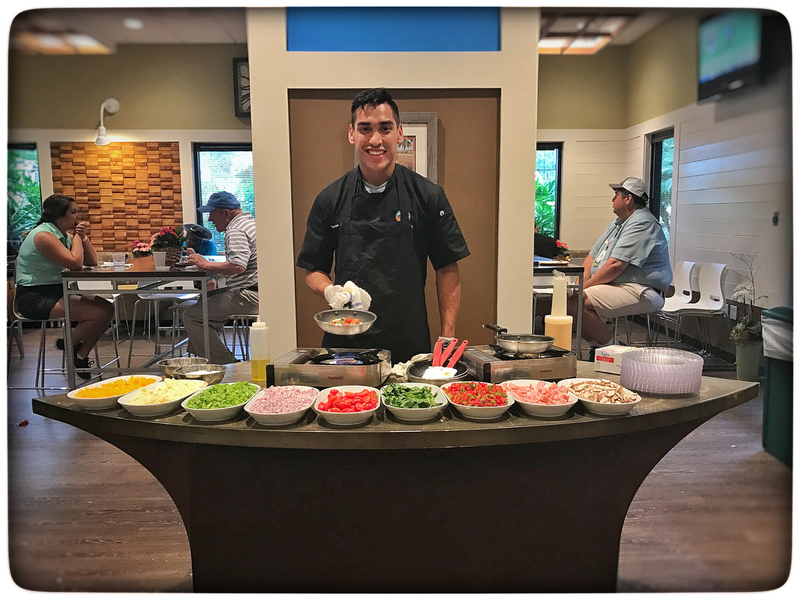 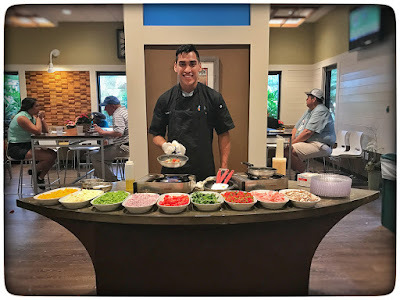 Ramon at the omelet station at Pura Vida Cafe in the Media Center. 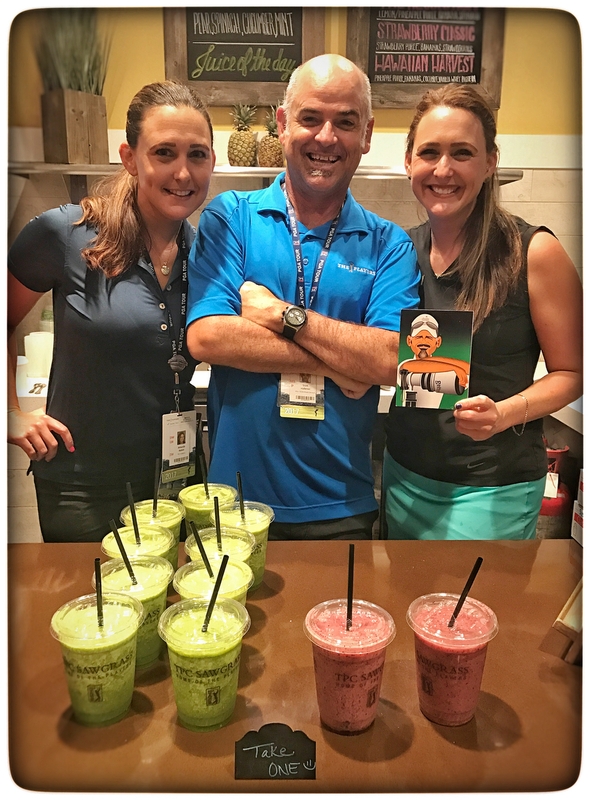 Scott with Amanda & Allison ... & his thank-you card. 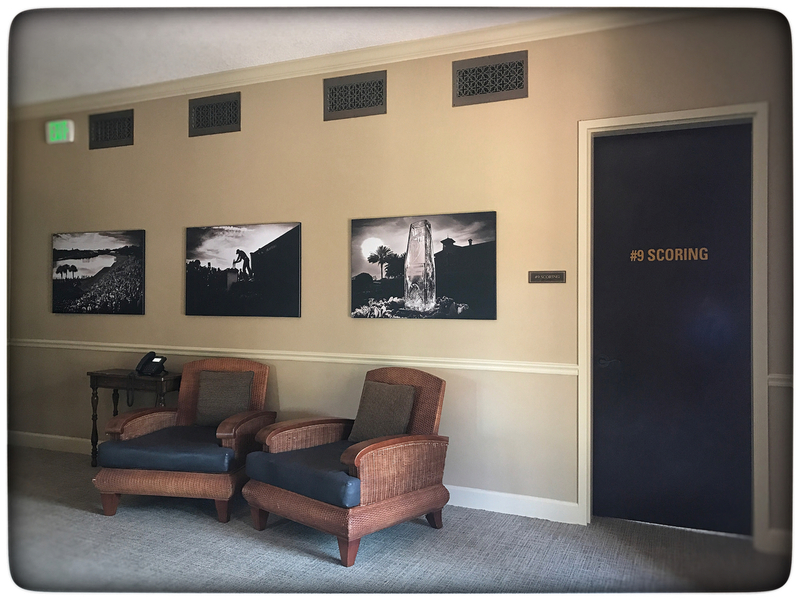 We hung black & white Alphalams of Brad's iPhone pix all over the Perch. 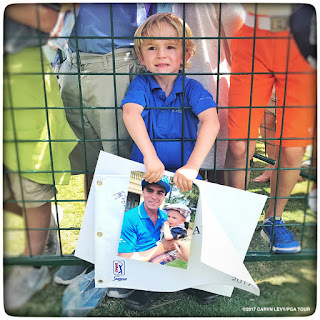 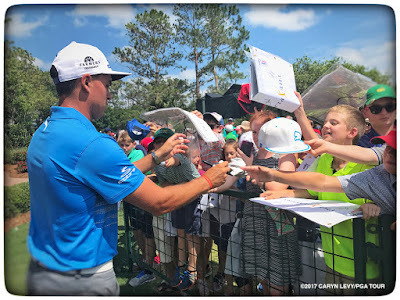 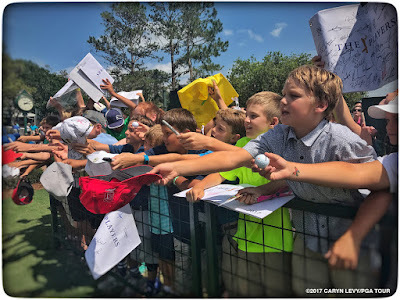 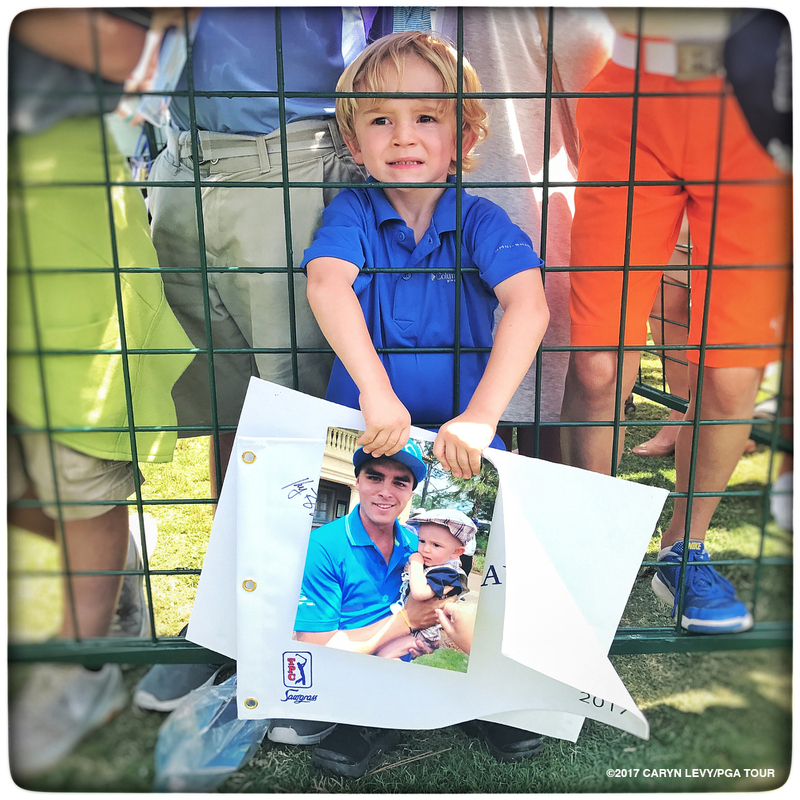 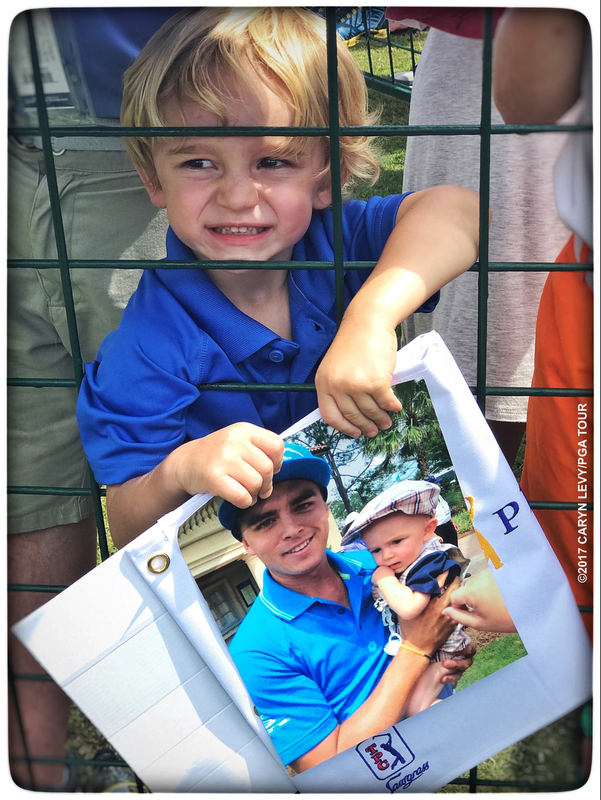 3 year old fan waits in the autograph zone for @rickiefowler to sign a photo from when he met him at 7 months old. So cute!